PROBLEM: Unique and unusual pick-up placement combined with overhead constraints, often mean that the final connection to a machine center it accomplished with a flex hose. Flex Hose connections on Oil Mist applications ALWAYS (ALWAYS!!!!!) leak. The effluent puddles on the top of the machine, runs downthe sides and puddles on the floor creating a safety hazard. 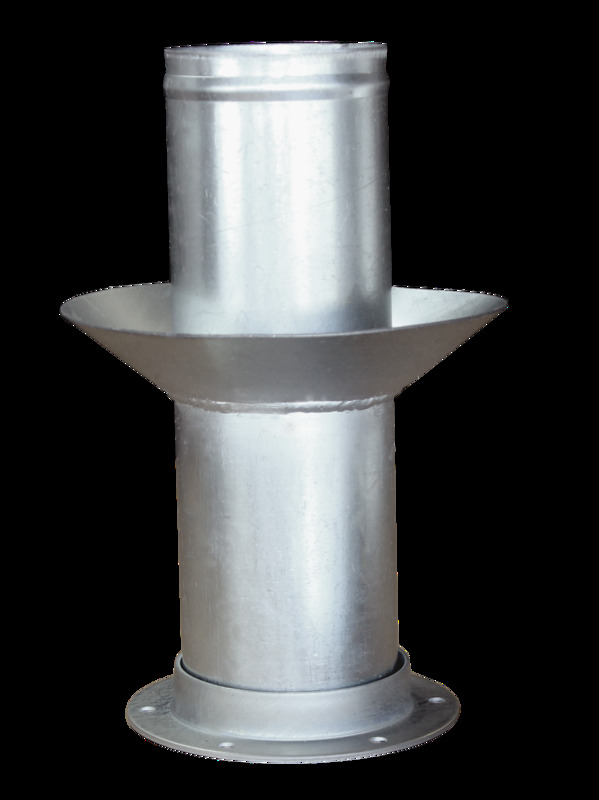 SOLUTION: US DUCT's Oil Mist Curbs are a simple and effective solution that capture the leaking oil and return it directly to the machine center. HOW: First, you CANNOT stop the leak. The curbs allow the hose to leak but capture it in a curb fully welded around an adapter. The adapter is attached to the port of the machine center. The hose then attaches to the adapter. As the oil leaks, it leaks into the curb. Small weep holes drilled at the base of the curb, allow the oil to weep/leak back into the machine.